We’re excited to be part of the Inaugural Sheridan WYO Winter Rodeo!! 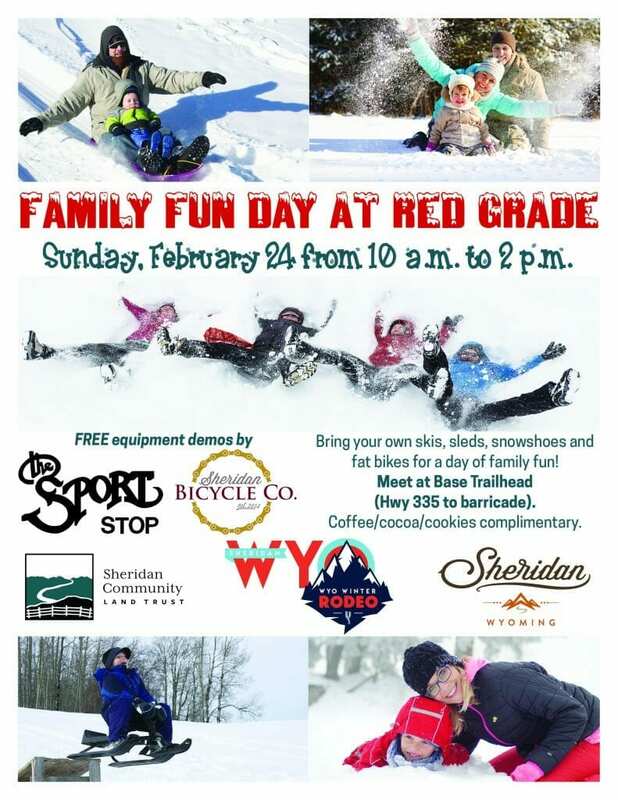 After you’ve seen the skijoring the day before, join on Sunday, February 24, 2019, from 10 am to 2 pm for Family Fun Day at Red Grade Trails! The Sports Stop and Sheridan Bicycle Company will have FREE equipment demonstrations! Cookies, cocoa, coffee are complimentary. Meet at Base Trailhead. If you’re new to Red Grade Trails, please follow Wyoming Highway 335 towards the mountains all the way to the barricades. You’ll see us in the parking lot. Bring you sleds, skis, snowshoes, fat bikes – and make it a Sunday Funday in our Winter Wonderland!